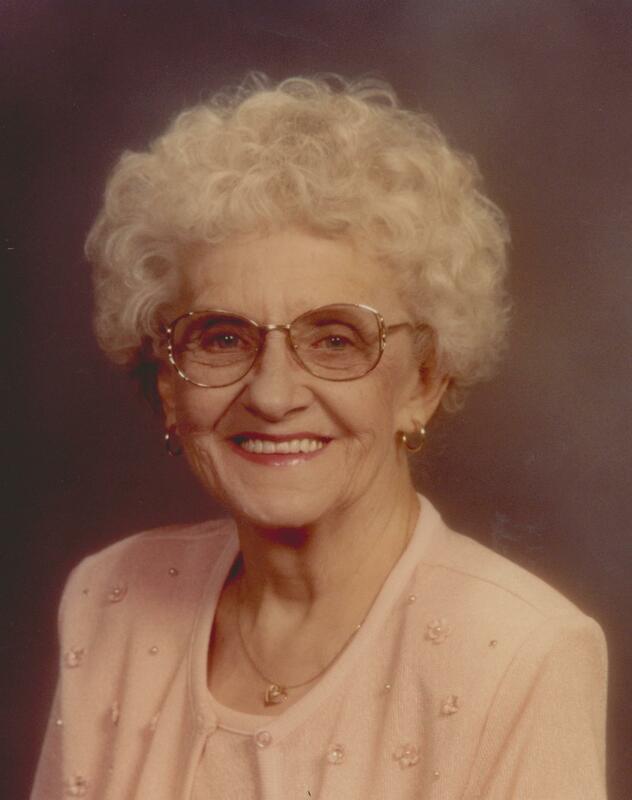 Mrs. Nancy Garland, age 87, of Mesa, AZ, formerly of Hopkinsville, KY, passed away on December 24th, 2014 of natural causes. Visitation services will be on Friday evening, January 2nd, from 6:00 PM to 8:00 PM, at Bunker’s Garden Chapel, located at 33 North Centennial Way, in Mesa, AZ. Funeral services will be conducted at 10:00 AM, Saturday, January 3rd, 2014 at College View Baptist Church, located at 1810 South Longmore, in Mesa, AZ. , with Pastor Mitch McDonald officiating. Mrs. Garland was born on September 2nd, 1927 in Big Meadow, Tennessee, the daughter of the late Elliott P. Gibbs and Katie (Killebrew) Gibbs. She attended Bethel College, in Hopkinsville, KY and performed as Managing Bookkeeper for a variety of businesses in Hopkinsville, including the U.S. Government Housing Authority. Mrs. Garland also served, on a volunteer basis, as a Western Kentucky Regional Secretary for the Reverend Billy Graham during special events and as bookkeeper and secretary for the Casa De Amor Mission in Mesa, AZ. Mrs Garland was a faithful member of Hillcrest Baptist Church in Hopkinsville, KY and later College View Baptist Church, in Mesa, AZ. Mrs. Garland was preceded in death by her first husband, Stanley Mason, Jr. in 1977, a World War II Veteran and a U.S. Government Employee, and later, her second husband, Jack Garland in 2002. Mrs. Garland had two sisters and two brothers, although she is survived only by her younger sister, Betsy Walton, of Hopkinsville, KY. Her survivors also include three sons, Ronald G. Mason, of Mesa, AZ, James H. Mason, of Hopkinsville, Ky. and David W. Mason , of San Tan Valley, AZ. Mrs. Garland is also survived by four grandchildren, Andrew and Aaron Mason, of Hopkinsville, Ky. , Tara Draper, of Goodyear, AZ. and Matthew Mason, of San Tan Valley, AZ. Expressions of sympathy may be made at Bunker Family Funeral Home, located at 33 North Centennial Way, Mesa AZ. 85201.